Breast cancer is indifferent to gender, nationality and age. ‘I have hope’ reads the slogan of the National Breast Cancer Foundation (NBCF) of the United States. For years, breast cancer has been a main focus for three main reasons: there is no concrete explanation as to how the cell’s DNA becomes cancerous, it is the second leading cause of death for women worldwide and finally, there is no cure. Diagnosis in less developed countries is usually given too late despite increased efforts to detect the disease early and offer treatment. 58% of breast cancer deaths occur in these countries. A quick look at data reveals that 1 in 8 women will be diagnosed with breast cancer at least once in their lifetime. It also shows that 2 in every 3 women diagnosed with breast cancer are over 55 years old and predominantly Caucasian. You mustn’t forget however, that breast cancer does not discriminate. Although data reveals that certain groups are more vulnerable than others, nobody is risk free. This includes men; the statistics say that 1 in 1,000 men will be diagnosed with breast cancer, as well. Men and women share the same breast tissue, meaning that men are also susceptible to the development of the disease. Risks can be genetic, environmental or both, as it is in most cases. If you have a family history of breast cancer, if you had an early menstruation (before 12) or a late menopause (after 55), you are at a higher risk of developing cancerous tissue in your breasts. These genetic factors are unavoidable, which is why screenings and mammograms are highly important throughout your life. Environmental risk factors, on the other hand, are something you can control. A sedentary lifestyle, drinking alcohol, smoking, being overweight or obese and a poor diet are all risk factors playing an important role in breast cancer. As little as three hours of exercise a week can reduce your risk significantly. You can organise your own fundraiser! Your donations can help both the scientific field and those men and women in need who cannot afford to seek treatment or support. It costs $100 USD to provide a woman in need with a mammogram. Whatever amount you decide to donate, every last penny counts. Regardless of the cancer association you decide to help, remember you are helping move one step closer to reducing the overall cancer death count. If you are motivated to help those going through this hard time, whether you are a survivor, a relative or just someone passionate, you can ‘be a catalyst for hope’ and host your own fundraiser. You can organise a concert, a bake sale, or partake in a 5 or 10km race and you can donate all the money raised to a great cause. 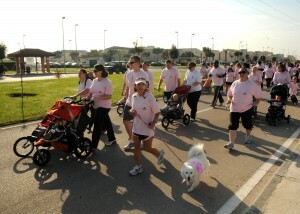 It’s easy and fun to do, all while raising awareness about breast cancer. If you own a company – big or small – you can become a sponsor of the National Breast Cancer Foundation. Reportedly, 82% of people will choose a brand supporting a good cause over one that isn’t. NBCF will help you through the marketing campaign process so that both you and they can get the most of the sponsorship. There are never enough helping hands. Volunteering your time is one of the most valuable things you can do in order to raise awareness. Through social media and word-of-mouth, you can spread the message of early detection. You can also be hands-on by giving out flyers, helping out with free screenings and raising funds for research. NBCF has an online shop selling t-shirts, hats, bracelets, necklaces and more. Throughout October, every purchase will mean that a Hope kit will be delivered to a breast cancer patient at their partner hospitals. All the proceeds of these purchases are used to help women in need. 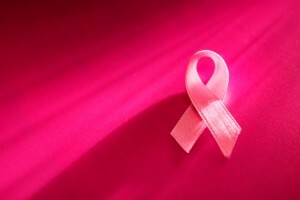 Breast cancer is not going anywhere soon; but neither will the human passion to put an end to it. Don’t be afraid to speak up about early detection, the importance of screenings and mammograms nor on eradicating the main environmental risk factors.